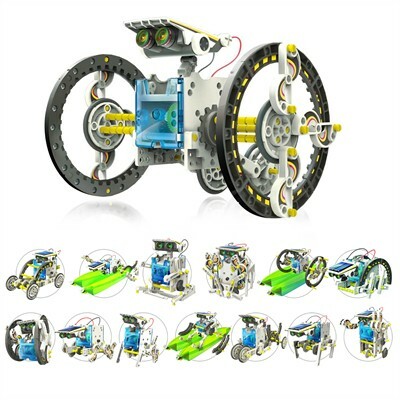 Solar building kits demonstrate the use of alternative energy and this kit creates a toy that is fun to play with and transforms into 14 different robot modes. No batteries are required since it is powered by the sun. This kit involves two level of building expertise. Level one modes are Beetle-bot, Boat-bot, Dog-bot, Quadru-bot, Turtle-bot, Walker-bot and Wheel-bot. Adding some challenge to the second level are Auto-bot, Boxer-bot, Crab-bot, Roly Poly-bot, Row-bot, Slither-bot and Surf-bot. Tool may be required is a diagnol cutter. 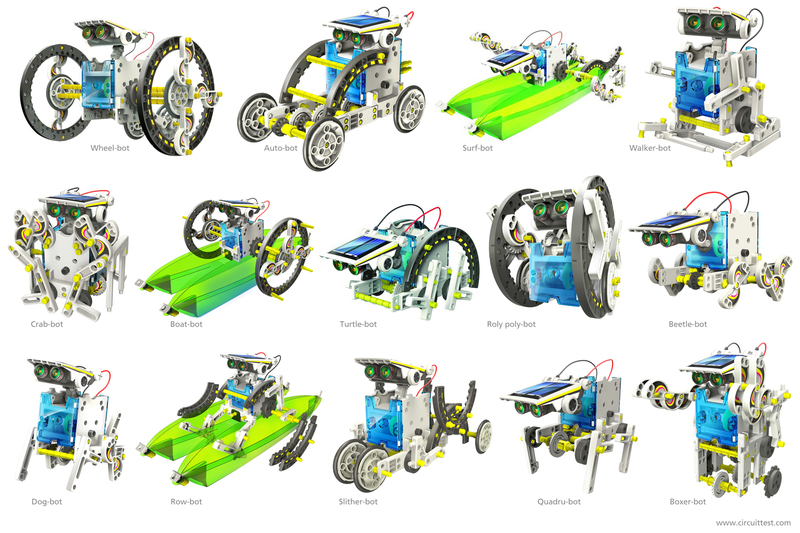 Level 1: Beetle-bot, Boat-bot, Dog-bot, Quadru-bot, Turtle-bot, Walker-bot and Wheel-bot. Level 2: Auto-bot, Boxer-bot, Crab-bot, Roly Poly-bot, Row-bot, Slither-bot and Surf-bot.